Afternoon ROMPer room or chop? The market has been holding up very well since it's giant gap up, but after taking out the first hour;s highs into 11AM, we've been chopping it to the downside, although still up 37 points and I am typing this. I'd like to see a push to the downside to see if the Bulls step in. As of right now, that would be the best place for a wholesale entry, but no guarantee that we get that kind of move. I'm watching for the support zone to start at 1230 and end at low of day. Strong breadth says for now, shorts are scalps and anti-trend. Don't pay a crazy amount of money for a class on the January Effects with picks stolen from other services such as Briefing.com. They get your information and give it out to their "sales team" (who they disavow when anyone complains) and they harass you non stop to use your HELOC or multiple credit cards to pay for coaching that costs as much as a car. they humiliate you by making you feel that you are not trying your best to succeed. The sales pitch is hysterical, but rest assured they are pros and know what buttons to push. They then put the victims in a group that is being taught not by the super guru that referred you, but a bunch of $12/hour lackeys. DON'T FALL FOR THE SCAM! I'll be giving a free class on the January Effects, details will be released shortly. Yes, I'll talk about what I offer, but you won't get called 4 times a day and told that you are a moron for not signing up. we have a cycle up here pre market, so either waiting for that to turn, or looking for another entry to grab. The S&P video for Wednesday will be done in the morning before the market open. With the ever changing situation in Europe and the S&P downgrades of 37 banks after the close on Tuesday, I want to see how the market trades overnight. Will the Bulls give it a shot into the close? A relatively narrow range day as we digest yesterday's big move. Breadth is flat, and we have not been able to get near the first hours range high this afternoon, but we could see some squeeze action of they decide to put the pedal down and run some buy programs. We ran into resistance at the 78.6% retracement of the swing down off the overnight highs to the early low and got a small pullback, but now we are assaulting the highs once again. 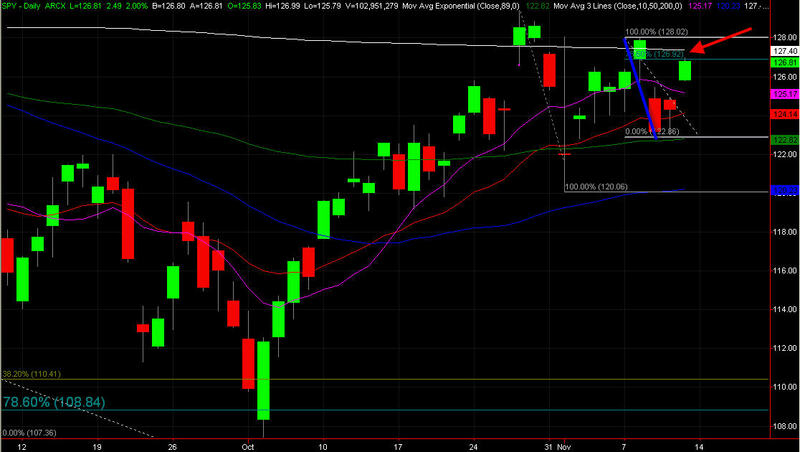 1206 is the next upside level to watch if we get above high of day. Nice spike off the numbers here and after a rest, we are headed back to the highs. It wasn't a big gap, so I was likely passing anyway, but my platform froze up which made my decision easy for me! We are smack in the middle of the overnight range, and may just decide to digest yesterday's big move by staying within it. breadth is ok at +500, but no big deal, yet. Will the Bulls step it up in the afternoon? Just back from lunch. A new buffet opened. I can't talk about eating too much, I was sued once for 35 million or so because of that! We got a nice test of the support zone I mentioned previously, but couldn't get below 88.75 for more than a tick. As I said earlier, we will have to get (and stick) below that in order to see some decent downside action. Choppy, sloppy mess here as we start lunch. Apparently, some people think I was talking about only one scumbag that super hyped RENN. There were at least a dozen people that provided super hype on RENN. Do a Google search and check it out, because some still had the balls to keep it on their sites, even though they pretended like they never said anything and never admitted they were wrong. This includes some people at some big sites, as well as some that are not that big, but people still follow them, and make bad decisions based on their recommendations, no matter what they say. After all, they wouldn't be hyping it if they didn't want people to follow them, would they? When RENN was set to start trading, it was being pushed as the Facebook of China. So many of these scoundrels own Facebook through private offerings, and they are hoping to super hype the crap out of anything that has to do with social media so that they can cash out in Facebook either in the secondary market or when it finally IPOs. I don't have any issue with these scoundrels being wrong. I'm wrong all the time! The difference is I don't try to cover it up, or pretend I never said what I did. that's beyond despicable, its disingenuous, duplicitous, and a few more words I can throw in to make myself seem smart! REFUSE TO BE SCAMMED! DO your research and see for yourself what I am talking about. These scoundrels should disclose their private share holdings and why they are so fast to push brand new IPOs that have no price history to base trades off of. It may seem like ancient history, but there will be plenty of opportunities coming up for these scumbags to push their agendas. Don't believe the hype. Breadth is very strong, and momentum favors more upside. We are short term overbought, which is what happens when you are up 3+% in the first hour, but that doesn't mean we can't go higher, be very careful on the short side with these internals. So far, not even a 10 point live range though, but it looks like it's coming soon to a theater near you! Is that all she wrote for the dip? We actually got a 2 point dip before hitting new highs! Woo hooo!!!!! Is that all she wrote? Breadth is screaming, do we try for 1200 today? Looking for a fading op here. RENN opened for trading on May 4th at 15.01 as per Tradestation. Some people may have a different level as their opening price. As of Friday, the stock was trading at $3.71. There were certain super-gurus who not just gave a recommendation on this stock, but super hyped the living crap out of it. they likely destroyed many people who follow them. You could blame the followers as being blind sheep, but is that really fair? The way these super gurus hype themselves, fabricate results and humiliate you by making it seem like you are missing the BIG moves. You sure are! the big DOWNSIDE moves of their recommended longs. Not a word of apology from these scumbags, and that's what drives me up the wall. They act like they are never wrong, and they delete these recommendations from their websites, Facebook pages and Twitter streams. Frauds like no other! REFUSE TO BE A VICTIM ANY LONGER! Show these scumbags how you feel by acting with your wallet. Do not support their luxury lifestyles any longer. Make them apologize for when they are very very very very wrong. So much for that "trend"
Gold, Silver and Oil are also trading higher, but nothing big yet. As I said in the videos, you can't put much weight in what happens on a day like today, the pros are taking 4 day weekends, this is a light volume, oversold lift. 1) My family is spending the holiday with us at casa de tiny. My wife has been cooking since 6AM and it smells amazing. 2) I've found a new home to do my Sunday night strategy sessions, mentoring and stock and market timing newsletter from. Details very soon. The Sunday night sessions start December 4th. 3) I'm free from the manipulation and abuse of the craziest person the universe has ever seen(you know they are crazy when they use the word crazy people describing everyone else). This filthbag would try to cram his way into my Thanksgiving meal every year, and I had to lie about having it somewhere else, just so he wouldn't show up at my house uninvited. This is a scumbag who had children just to leverage his family, because his family hates him more than anyone else, but now have to deal with him because he has kids. His children are just a tool used for his manipulation of others and the way he treats them proves that. One day, when they are old enough to understand what kind of person he is, they will free themselves from his manipulation and abuse as well. Overnight session had some range to it, but we formed a nice range for the last few hours of it. OK, I screwed up on Monday's video. I got into my office just in time to do my interview, and by the time it was over it was after the opening bell. I will do a video Tuesday AM, probably close to the open, so check back then. There's so much volatility and range overnight, it just makes the best sense to do it this way for now. 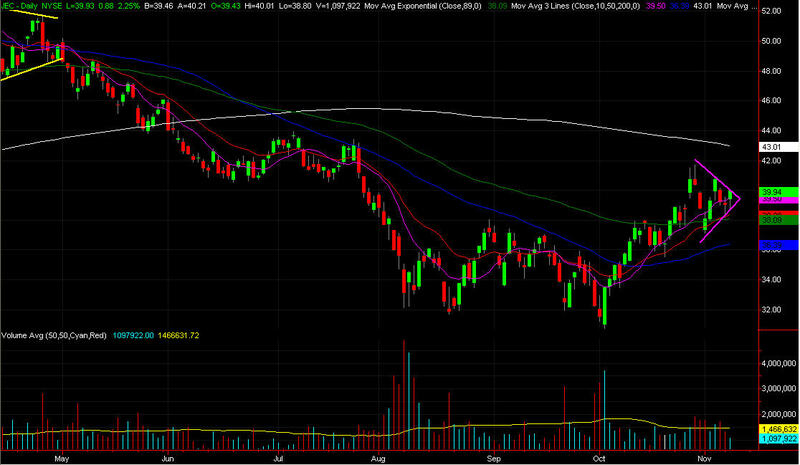 Sharp gap down, and the cash S&P 500 is now below its 50 day moving average, joining the futures. Breadth is horrid at -2330, so the upside will be limited, FOR NOW. Watching this current bounce to see if it stalls out and retests the lows with a divergence. Will be posted in the AM. 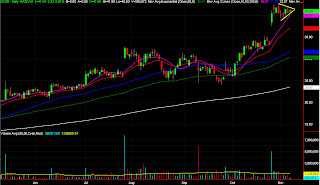 I want to see what we do overnight as we are at key support on the daily chart. Don't fall for expensive January Effects lists from super gurus with guarantees that won't be honored. The super gurus STEAL the picks from other services, make up fake returns based on fantasy, and then tell you that it is "easy" to make money. They will make excuses and shame you into believing that you didn't play the picks correctly, and they will NEVER honor the guarantee. OR it will be a false guarantee, such as offers to give you another service. This means that these scam artists get your money and don't give it back, PERIOD! REFUSE TO BE SCAMMED! DO NOT PAY A DIME FOR INFLATED OVER HYPED (or the new technique, academic sounding (HAHAHA NICE TRY) under-hyped) LISTS THAT WILL LEAVE YOU SCRATCHING YOUR HEAD AS THEY CLAIM HOME RUN GAINS, AND YOU DIDN'T MAKE A DIME OR LOST MONEY! IF THE LIST WAS SO GOOD, THESE SCUMBAGS WOULD HAVE 1000s ATTENDING, NOT A DOZEN (usually less) UNSUSPECTING SHEEP. DON'T BE ANOTHER VICTIM OF THESE CRIMINALS! If you do sign up, and learn the hard way, report these scoundrels to the FTC and SEC immediately for pump and dumping and false advertising. 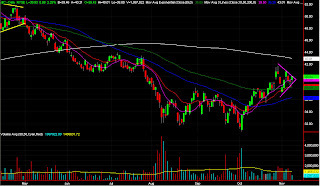 Im watching the 50 day moving average on the SPY and S&P Futures (day only session) for support. I dont use the levels as exact buy points, but rather, as reference levels. Depending on how we trade into them makes my decision on how to use them. We got an early push down off the open, and I guess it's considered a gap fill, but not for me, as it wasn't big enough to even be called a gap in my opinion. A wild overnight session, just over 20 points wide leaves us with a current gap down of double digits. There's still 7 minutes left before the open, and it's possible we pop before the bell, but as of now, it appears we will have a nice size gap down. I'll be looking to fade the gap after confirmation. Just getting home from a meeting, not much to say here except the triangles on the S&P and Russell are still forming, and I;m waiting for confirmation. There is an important level at 1263 to watch. Its the 78.6% retracment of the high from Sunday to today's lows. Obviously, since I said Sunday, it's using all sessions data. There's been a lot of hype around some super gurus and how they "nailed" 1080 as the lows of the correction. 1080 was a Fib number, I had been talking about it since we got the first bounce in August relative to the SPY at 108.84. Briefing Trader, the favorite subscription service for most super gurus to steal from, while claiming the plays are their own (they've been caught many times doing it) was talking about 1080 for a bit prior to the low as well. Think about it: How could super gurus that claim technical analysis doesn't work pick a techncial level as a low? Don't believe the hype! It will only wind up costing you some serious money as the super gurus pick your pockets with over hyped under delivered lists, classes and memberships. FREE January Effects class to be announced soon. You don't have to fall for the oldest scam in the book, someone regurgitating someone else's picks while giving a half assed guarantee that they never honor. Wish I could say "I knew it" like the super gurus do, but it was just a solid support level based on a Fibonacci level that led to a nice pop here. Starting to stall out here, so if it catches a bid, high of day would be the target. If not, look for a retrace back down to the lows here. We've held within the first half hour's range so far, but we are far from strong. There's a small double top up at 53.25. If it gets taken out, there could be a quick run to yesterday's highs, but its a long way to go here. If the lows of day are taken out, look for a move towards 41.75 as first support. $TICK is trying to diverge here, but we are swimming against the breadth here. The price of technology huh? As I am typing this out just before the opening bell, we are sitting at around the 50% of the overnight range. Beware the super guru hype! Do not fall for the January Effect hype by certain super gurus who tell you it is the only play to ever take! These frauds con you into thinking if you don't pay their extortion like fees, you will not make any money trading. They even lie and say this can make your whole year! the truth is, the only year it makes is theirs with the hyped up membership fees! If it was so great, why don't they have thousands upon thousands of people each year in their class? Duh! They steal the plays form other services and then pass them off as their own. Shut these crooks down! Refuse to support these scam artists! I'll be giving a free class, and you are all welcome to be there. Details to follow shortly. Watching for this to fade, but I'd rather see a test of the overnights first. May or may not get it, but that's what I'm watching for, at least for now. The super hype will begin shortly regarding the January Effects trend. DO NOT pay extortion like fees to have someone regurgitate other people's lists and front run and pump and dump you. As usual, I will be giving a FREE class, stay tuned for details. Justin Timberlake went to the USMC Ball last night, as he said he would many months ago. It probably wasn't that hard of a decision, she's hot and after all, a hero to the United States for her service. The fact that he stood by his word and didn't try to weasel out of it, makes him a stand up guy. In my videos last night, I said that I thought we would complete the ABC down to the level of the 50 day moving average. Despite today's rip to the upside, I still hold out that the ABC is a possibility to be completed, but only if we hold below the 78.6% retracement shown above on a CLOSING basis. If we close above that level, then I flip back to the next level to watch being the 78.6% of the years range, up a little bit past the last swing highs. If NOT, then I'll still keep that ABC target as a possibility. I've gotten and stayed Bullish since the Follow Through Day, but that doesn't mean we can't ebb and flow here as we make up our minds on the short term. This has been the market of broken necks, as the whipsaws make it very hard to swing trade despite what the super gurus claim. Nice fat gap up here. 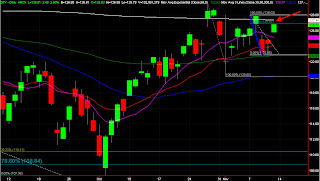 1249.25 and 1244 are key levels for the S&P Futures on the downside. Thank you to all the Veterans that protected my family's freedom throughout the years. You are not given enough recognition. You are the true Heroes in this world. Surprising as it sounds, I have never had a McRib. I got one without onions today, and it was just fabulous. Of course, there was sauce everywhere as my friend warned me there would be, but still, just freaking awesome. The fade worked nicely, and now we are getting the first decent correction from the initial move lower. We fell a little shy of the lows from yesterday, but they can still be watched as a target. If we do head back down there, I would watch for a break of them, and then a reversal back above. As of right NOW, it doesn't look like we will get downside continuation on a break of the lows. This of course, can change quickly, but breadth is +700s which while not overwhelmingly, is still bullish and nowhere near bearish. Wait and see mode for the time being as we digest the early action. I will be looking for a shorting op off the open for a reversion move back down. I will likely be waiting for a cycle turn down, but I may jump in early if a signal sets up. As I said in the last post, all that movement was just a correction in a downtrend. new lows showed that to be the correct analysis. Big gap down, watching for a fade. Not much went on Monday, so no new list. Ill be in around lunchtime, so the blog will be dark until then. I would be watching this gap down for a fading op, but like I said, I wont be around. Another spectacular super guru trade, and this was touted by many and panned by only a few. I had no opinion, which makes me a wimp I guess, but how do you trade IPOs on the first day without any price history to base your decisions? Time for the gap fade? We just hit a new high here as we end lunchtime. Hope no one got hurt too bad buying the gap down off the Super guru's call of "easy buy", although now of course, hes denying he said it, using excuses like you have to ride it out, use stops, etc. Looking for a push lower for a buying op, although a buy off the open was good for a scalp. Not a big gap, but..
late start? No an early one! Was up nice and early to get my wife's car fixed and inspected. Done! Well worth missing this textbook fade right? Anyway, I wont complain too much, and instead, look at the market. Breadth is nothing special at +800s, but certainly not bearish here and now. We could see us die down ahead of the Job Numbers due out tomorrow morning, but for now we have a nice travel range. I could be dumber but that would take some effort on my part! I had no idea they moved the announcement to 12:30, but it wouldn't have mattered if I did because I am usually done by 11AM on fed days, and today it was much earlier. That's what I get for nowt watching the tube during the day! 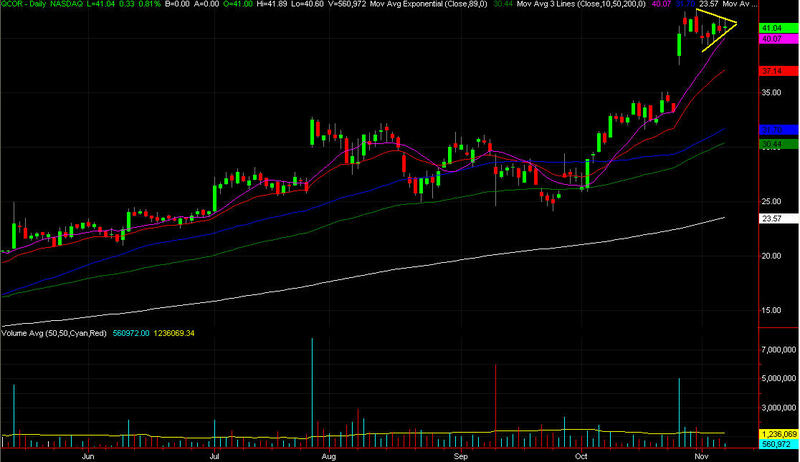 Gap gets filled finally, but not until after new highs are seen. 2:15 FOMC announcement , I'm on the sidelines until after that. Getting a nice enough gap to look for a fade, so will stalk it off the open. FOMC announcement days do have a Bullish tendency, so I won;t overstay my welcome if they decide to keep it juiced. FOMC meeting started today, with the announcement due tomorrow. The super gurus must be sucking wind, although I'm sure they were short and holding all day! Or at least they will spin it that way, but if their lips are moving, they are lying. Or better yet: if they are posting it somewhere, they are lying. DON'T PAY A DIME FOR A CLASS ON HOW TO WATCH TV! They will give your name to an outfit out west to hard guilt sell you on over hyped coaching that they dont even participate in! GET 15 MINUTES OF FREE COACHING NO STRINGS ATTACHED! So far, after some initial selling, we have gotten a nice gap fade retracement move. Breadth still stinks, but there have been some short term buy programs hitting as evidenced by the $TICK. We are moving into short term resistance, but how well that holds will be the big question. The move has to be tired at that point, but that isn't enough to use as a trigger.